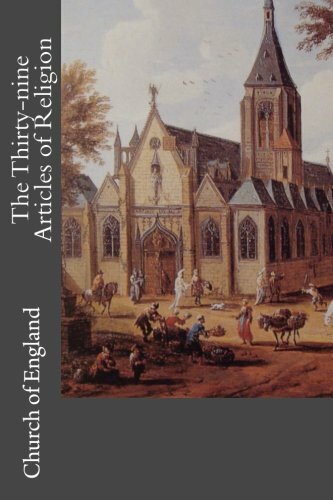 The Thirty-nine Articles of Religion are the historically defining statements of doctrines and practices of the Church of England with respect to the controversies of the English Reformation. The Thirty-nine Articles form part of the Book of Common Prayer used by both the Church of England and The Episcopal Church. The articles went through at least five major revisions prior to their finalization. The Thirty-nine articles were finalized in 1571 and incorporated into the Book of Common Prayer. Although not the end of the struggle between Catholic and Protestant monarchs and citizens, the book helped to standardize the English language, and was to have a lasting effect on religion in the United Kingdom, and elsewhere through its wide use.